Oldest Turkic words are in Chinese annual chronicles noting cultural and political events. Hun (Hsiung-nu) words tanry, kut, byoryu, ordu, tug, kylych etc are oldest monuments of Turkish language. State rulers’ endoethnonym is Hun, Turkic "man, male, people"
Persepolis inscription text is "Darius Hystapes (522-486) rex popularum bonorum posui. Hi adorationem igni mihi attulere: Choana, Media, Babilon, Asyria, Guthrata, Armenia, Cappadocia, Sapardia [Sabir], Hunae [European, Caucasian ?]." Tele left early Huns Horde, keeping patriarchal relations and nomadic life. They were not Sinadized. They move on steppes on carts with high wheels. Huns and Syanbinians conquered from China Han Empire northern part and established a sequence of kingdoms. Predominantly Chinese population was led by Hun’s Toba tribe. Huns were a genetic hybrid between Mongoloid, Altaic (Siberian), and Central Asian Türkic stocks. Typical Hunno-Bulgars probably had a squarish face, high cheekbones, and slanting eyes. Term 'Bulgar' comes from Türkic 'bulgha' = 'to mix'. These nomadic horsemen groups were mainly composed of As - Ossetians, Eastern Antes - Iranian-Slavic blend, Khazars - a mixed Türkic group, and a people known as Sarmatians, an Iranian group. 370-376 War between Alans and Goths. Guylüchoy, successor to Ügülüy, organized a horde, move along all Khalka to Khingan, subordinated to Tobas Khans, paid tribute in horses, sable and martens. Guylüchoy life and organization are primitive and organized by regiments of 1000 men. No changes for 200 years. All efforts went to rob neighbors. 2 migrations of Bulgarians from Caucasus to Armenia. 1st during Armenian ruler Vaharshak, immigrants of Vh' ndur Bulgar Vund, lands named Vanand. Jordanes, XLVIII, 249. Battle between Alans under Balamber and Ostrogoths at river Erac (present Tiligul). After death of Vitimir, young Vidirix bacame a King. Alatey and Safrac ruled under his name. Ostrogoths retreated to Dniestr. Vestgoths and Ostrogoths Goths fled from Huns, asked help from Emperor Valens, who allowed them cross Danube to guard borders, and entered Roman Empire. Poor control of crossing, extractions by officials caused rebellion. Rome faced Gothic invasion. Hunnish-Bolgarian association during period of Hunnish hegemony in Central Europe. Attilla's combat power consists mostly from mounted Bolgarian troops. Attila' dynasty is continued for Bolgars. Oldest son of Hun's Bulyumar (Balamber) Alyp-bi defeats Sadumians (Scandinavians), crossed Danube and with Visigoths, Ostrogoths and Alans defeats 80K Byzantium army at Andrianopol. Western (Northern) Huns in westward migration (93-c.380) take possession of lower Don river valley and north of Sea of Azov. New Roman Emperor Theodosius settles Gothic problem diplomatically. Goths become federates, and Alans move north. 380-395 Alans clear Dacia and Atilkuzu from Vestgoths, Taifals, Gepids, Burgunds and other peoples. Huns went to Pontic steppes. Tele move north, to Djungaria, and spread in West Mongolia to Selenga. Alyp-bi (378-390) dies, is buried on Kuyantau mountain (current Kiev) under Baltavar stone with ? sign. His son Aybat (Eur. Mundzuk) becomes Khan of Huns (390-434). In Danube area, evidently, arrived Huns. They killed Byzantian federate Gain, expelled by rebels from Constantinople. Syanbian language, ancient Mongolian, becomes inter-tribe language for Türk's allied tribes. "Türk" = "strong", "powerful". Arab and Persian authors mention town Varachan (Belenjer), capital of Hun state, in Sulak valley near Upper Chir-Ürt in Daghestan. Later authors refer to Balanjar as native land of Khazars. Ruler of Western Roman Empire Stilihon allied with Huns and Alans, who help Stilihon to fight off attack of German tribes. New help by Huns and Alans to Stilihon to fight off attack of German tribes (Suewes). Alans join Vandals in invasion to Gallia (modern France). Alans and Vandals moving from Gaul to Spain. Syanbinian Jujan Khan Shelun Deuday unlimitedly controlled steppes from Khingan to Altai. Tele were subjugated. Central Asian Huns, after winning battle at river Ili, recognized suzerainty of Syanbinian Jujans and bought peace by submissiveness. Syanbinian Jujan Khan Shelun Deuday died (?-410), his brother Khulüy (410-414) becomes Khan. Huns attack Roman Empire and sack Rome. Huns introduce pants to Roman Empire, which replace traditional togas. After death of Khagan Uldiz (?-410?) Charaton (410-422?) becomes Khagan of Huns. In 412 Charaton receives Byzantian ambassador Olimpiodors. Charaton rules mostly eastern part of empire. No information till 422. Aybat (Eur. Mundzuk) (390-434) dies. His son Bleda, becomes Kagan and ruler of E. Huns (Ak Bulgar) (434-445). His son Attila becomes Yabgu of W. Huns (Kara Bulgar) (434-445). Syanbinian Jujanes under Udi resume attacks on Empire Wey. In 439 Empire Wey counterattacks, without decisive battle. In 440 Udi attacks border and flees. Then again in 445. In 439 Tobases had victory over Huns and joined Chesi to Wey Empire, Khan Ashina with 500 families fled to Syanbinian Jujanes and settled south of Altai mountains and produce iron for Syanbinian Jujanes. An horde of warlike Syanbinians retreated to Tibet from Khesi. Coming to a rich, but disunited country, Syanbinian leader attracted Kyans, i.e. occupied a dominating position between ever-hostile tribes. In Tibet, descendants of Syanbinian leader had title Tsenpo, meaning in between King and Head of Government, supported by Syanbinians who are the only real force in country. Ultimatum by Atilla to Theodosius II, who rejects it. In written sources, Huns get identified with Scythians and Kimmerians, and specifically to "Royal Scythians". Scythian ethnonym "As-kishi", or its stem "as" is retained in written sources, especially old Georgian documents, in Huns' name as "ovs", "os"
In written sources, Huns are identified with Scythians and Cimmerians, and specifically with "Royal Scythians". Scythian ethnonym "As-kishi", or its stem "as" is retained in written sources, especially old Georgian documents, in Huns' name as "ovs", "os"
Priscus: "because Scythians are mixed and besides their own language, they try to speak language of Huns, or Goths or Ausoni, when some of them have to do with Romans"
Huns were called Os in V century, during their raids in Georgia in time of king Vakhtang. Word "ovs" of Georgian sources is actually a slightly deformed name of a Turk tribe "As"
451.06.15 "Battle of Peoples" at Catalaun ravine near present Trua. On Atilla's side are Huns, Geruls, and part of Franks, on Aecius side Roman legions recruited from Gaul and Germany, Vestgoths, Burgunds, Franks, Armorician Alans headed by Sanhiban. No definite result. Italian campain of Atilla, ending with peace. In spite of large conquests, Atilla agreed to peace because of epidemy in his army. Vestgoths, headed by Torismud, son of killed in Catalaunian Plains Theodorix, defeat Huns and expell them from their territory. Coalition of Germanic clans defeats and kills Ellak in battle at Nedao. Gepids under Ardaric battle Huns under Kagan Ellak. Tingiz (Dengizik/Diggiz) and Bel-Kermek (Hernach) retreat to a military camp and defend for 2 years. Negotiations allow Tingiz and Bel-Kermek leave with Bulgars, remaining defenders are surrendered to Ardaric. Jordanes: You could see Goth with lances, Gepids with mad with sword, Rug breaking spears in his wounds, and Svev bravely acting with bat, and Hun with arrow, Alan with heavy, Gerule with light weapons. Tingiz and Bel-Kermek (Hernach) (455-465) lead Bulgars, on way from Pannonia to estuary of Buri-chai (Dnieper) are attacked by Gallidjians (Scandinavians). Tingiz is killed. Bel-Kermek raises red flag of Asses and breaks through to lower Dnieper. Bel-Kermek, 3rd son of Atilla, leads Bulgars to settle between Crimea and estuary of Buri-chai (Dnieper), and proclaims a beylik of Altynoba, with Bel-Kermek as Baltavar (Lord of Beys). Bel-Kermek with Hun's Sadagariem and other tribes remain in Dobrudja (Little Scythia) and Lower Moesia. 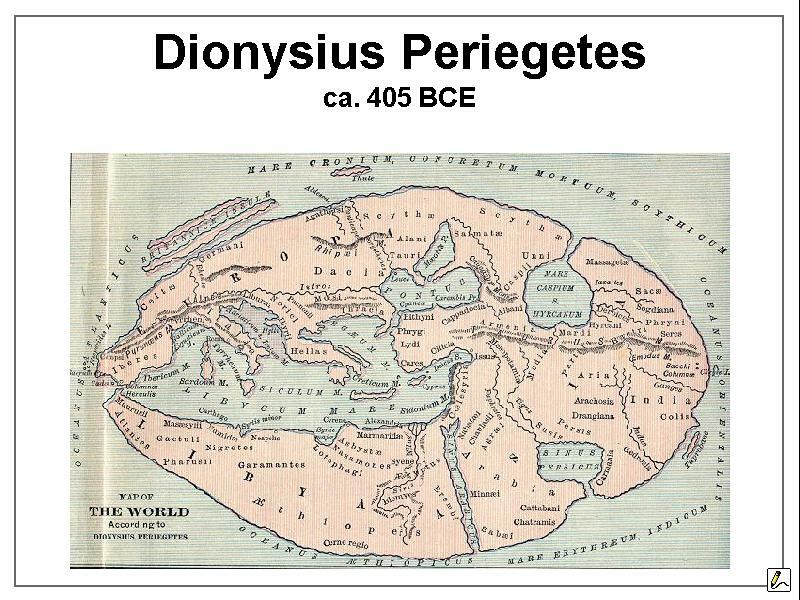 Later known as Sacromontizies and Fossatizies. Bulgar tribes of Ultinzur, Bittugur and Bardor flock to Altynoba, with Bel-Kermek as Baltabar (Lord of Beys). Huns adopt name Bulgar, Bulgars adopt Hun's language. Ogur Türkic tribes, including Onogurs (Onoghur = 10 Ogur Confederation), Saragurs (White Türks) and Uturgurs (Utigurs) (Uturgur = 30 Ogur Confederation) cross Itil and enter Europe. Altynoba's Bel-Kermek (455-465) dies, his older son Djurash Masgut becomes Altynoba Baltavar (465-505). Tengiz (Dengizik) and Bel-Kermek (Hernach) sent ultimatum to Byzantium, when it is rejected, Dengizik invades Thrace, but is defeated under command of Byzantine’s Anagast and Aspar. Dengizik dies in battle. Bulgar Kutigurs fight Byzantine (468-469). Byzantine’s Anagast procured Khan Dengizik's head after he was killed and sent it to Constantinople where it was displayed atop of a spear. Kutrigurs never forgot Utigur Hernach's refusal of help. 468 - 469 Danube war between Huns and Byzantium. Bel-Kermek (Hernach) after Dengizik death leads army. Byzantium beats off invasion with difficulty. Byzantium mercenary army consists of Slavs and Alans commanded by Aspar, whose father was Alan. Vernadsky G.V. :"in some respect Danube war of 468 - 469 was a war of Alans and Ants against their former masters, Huns." After Byzantian victory Huns left Dacia and Bessarabia. These provinces opened for Slavic colonization. Western Hunnish clans retreated. Utigurs to Azov-Taman SE of Sea of Azov. Kutrigurs to between Dnieper and Don Rivers, NW from Sea of Azov Utigurs. Sabirs in Daghestan SE of other two Hunnic hordes, between Daryal Gorge and Kuma River on Caspian Sea. Remnants of Tengiz (Dengizik) horde follow Utigurs to Dniepr and settle between Dniepr and Meotian Sea. They were called Kutigurs. Bulgars settle in Moesia, Thrace and Macedonia after expelling Theodoric Ostrogoths (488). Bulgars fought again against Goths as allies of Gepids. Kutigur Bulgars invade Thrace, defeat Byzantine army and kill their leader Julian. 493-499 Altynoba's Djurash Masgut Kutigur Huns start raiding Thrace, possibly with Slavs. They took advantage of a civil war in Byzantium. Altynoba's Djurash Masgut in winter 498-499 annihilate Byzantium Illyrium army and extends to left bank of Danube. Altynoba subordinates to Avar overlordship. Altynoba's Djurash Masgut (465-505) dies, Tatra (505-) becomes Bulgarian Baltazar subordinated to Avar overlordship. Sabirs created a powerful federation of akin tribes, "Kingdom of Huns". They were populous and had an army of 20,000 well equipped cavalrymen. They were masters of art of war and build siege machines unknown even to Persians and Byzantines. Teles (Teleutes) Khan Mivotu in vassalage to Ephtalites. Helps Empire Wey 's 3K army defeated Syanbinian Jujanes at lake Puley, after being paid 60 pieces of silk by Empire Wey. Futu dies in struggles. Mivotu is rewarded with musical instruments. Cheunu (508-520) becomes Syanbinian Jujan Khan. Altynoba's Tatra Bolgarian raids against Byzantium become annual. Hunno-Bulgars aid in Vitalians Revolt (514 ). Syanbinian Jujan Khan Cheunu attacks Tele's kingdom Gaogüy, captures Tele (Teleut) lord Mivota, Tele escape to Ephtalites. Cheunu sends an embassy to Empire Wey, received by emperor Syao-min-di, re-establishes vassalage to Wey. Syanbinian Jujan Khan Cheunu makes a treaty with Ephtalites, gives Eftalite lords his princesses as wives. Allies with Korea (Gao-Guyli) against Empire Wey, and together smash Manju tribe Dideugan. Empire Wey recognized suzerainty of Turfan's Gaochan, and Syanbinian Jujanes continue to trade with them, receiving bread and cloth. Iron goods are provided to Syanbinian Jujans by their Türk (Türks-tuku) vassals in Altai. Syanbinian Jujan Khan Cheunu (508-520) killed by his mother, installed her another son, Anahuan, replaced by Polomyn. Teles rebel and defeat remaining Syanbinian Jujanes under Polomyn, and Polomyn moves to Empire Wey with remains of his Horde. Anakhuan escaped to Empire Wey in 520, so both branches of Syanbinian Jujan horde ended up in Empire Wey. Polomyn's horde is resettled within Empire Wey by lake Kukunor, and Sinifa, brother of Anakhuan, is resettled beyond border, north of Dunkhuan. Anahuan leads Empire Wey expedition against rebel fortress Bo-ye and defeats rebels. Receives rewards and absolution from Empire Wey. Togon's Syanbinian prince Kualüy pronounces himself Khan. Anahuan with his horde attacks Tele's kingdom Gaogüy, defeats it. Tele's lord Ifu killed by his brother Üegüy, who continues resistance, is defeated, killed by Ifu's son Bidi. Tele's kingdom Gaogüy under Bidi is defeated and Gaogüy stops existing. Split of Empire Wey makes Syanbinian Jujan Khan Anakhuan a gegemon for both halves of Empire Wey. Altynoba's Tatra Kutigur Bulgars take and plunder not only rural areas, but take forts (539-540). In Illyrium alone, in 540, Kutigur Bulgars seized 32 forts. Syanbinian Khan Kualüy sends embassy to Gao-Khuan in Syanbinian Eastern Wey, becoming an enemy of Syanbinian Western Wey. Togon occupied considerable territory, had cities (protected settlements), had organized government, maybe copied from Tobases, had extensive cattle growing economy, low in culture, and under strong dominance of Khans. Syanbinian Jujan lord Anakhuan, allied with Syanbinian Eastern Wey, together with Eastern Wey's emperor Gao Khuan, and Togon's king Kualüy, attack Syanbinian Western Wey, but do not defeat Syanbinian Western Wey decisively. Emperor of Syanbinian Western Wey Ven-di sends ambassador An Nopanto to Türk lord Bumyn. Bumyn displays disloyalty to their suzerain Syanbinian Jujanes and sends a reciprocating embassy to Syanbinian Western Wey capital Chanan. Türks under lord Bumyn become allies of Syanbinian Western Wey and its successor Bey Chjou. Bey Chjou dynasty was not of Chinese, but of Syanbinian roots and relied on assimilated Syanbinian elite. West Tele tribes revolt against Syanbinian Jujan dominance, and attack from western Djungaria toward Khalka in Syanbinian Jujan heartland. West Tele tribes are intercepted on the march by Türkic army coming from valleys of Gobi Altai in lined formations, covered by armored plates, on well fed war horses. West Tele army, surprised by unintended enemy, pledged submission to Türkic Lord Bumyn. Bumyn, by accepting West Tele tribes vassalage displays another unloyalty to Syanbinian Jujanian suzerainty. Descendant of Gao-Khuan, Gao Yan, establishes his own dynasty in Syanbinian Eastern Wey named Bey-Tsi. Mid. VI century Period of king Sarosius' government in Alania. Establishment of tight contacts between Alania and Byzanthia. Türkic Khan Bumyn (1) provokes Syanbinian Jujanes to a war by asking for a Syanbinian Jujan princess as a wife. Anakhuan refuses, calling him slave-smelter daring for such an offer. Boyan Chelbir Bulgars and Slavs led by Khagan Zabergan (558-582) cross Danube, loot Thrace and Macedonia, and attack Constantinople. Military losses, Byzantine bribes, and attack of Bulgar homeland by Avars causes Khagan Zabergan to withdraw his forces. Zachariah Ritor: Bulgars and Alans are mentioned once as settled populations with towns, and once as nomads. Bulgarians towns were in territory immediately next to Caspian gates, while nomads - in steppes north of Caucasus. Onogurs had towns - in earlier times they had built town of Bakat. Türkic Khan Bumyn executes Syanbinian Jujan's ambassador, and in winter of 552 attacks Syanbinian Jujanes and defeats them. Bumyn Il Khan (1) dies in 552, his son Kolo Isigi (3) becomes Khan (552-552) under name of Kara Issyk Khan (3) , his uncle Istemi (2) remains Istemi-Yabguu. Syanbinian Jujanes, defeated by Türks, elect Anakhuan's uncle Dynshuttsy Khan and continue fight. In a battle near mountain Lyanshan they are defeated by Kara Issyk Khan. Huns and Syanbinians conquered from China western part of Shansy province. Local people were submitted to Hunnish Khan Mugan, who controlled Chesi area west of Ordos, between bends of Chuanche and Nanshan. Kara Issyk Khan (3) dies in 552, his younger brother Kushu (4) becomes Khan as Mugan Khan (553-572). Bolgars living along lower Dniepr and Don are Kuturgur Huns. Bolgars living along Kuban are Uturgur Huns. Kuturgurs raid Byzantium's Thracia, Byzantium incites Uturgurs to fight with Kuturgurs. Istemi Yabgu stops at Itil (Itil), allowing Vars and Huni. both from North of Aral Sea to escape to west and become known as Avars. Vars (Ugrian tribe, related to Hungarian ancestors Ogors/Ugrs which lived between Itil and Ural rivers, and to Hungarians living in Bashkiria up to XIII c.) and Huni (Khionites = Sarmato-Alanians), both from North of Aral Sea, become known as Avars. Hunno-Bulgars are attacked by invading Avars. Utiguri, Kutriguri, and Sabiri conquered (559-560). Avars subjugate Hunnugur and Sabir, and other Hunnic hordes, assimilating them under Avar Khaganate. Tardu Yabgu sends Bokhan to attack Byzantine in Crimea and Panticapeum (Kerch) as a leader of Utigur Huns under chief Anagai (576-590). Tardu Yabgu sends Bokhan to attack Byzantine in Crimea and Panticapeum (Kerch) as a leader of Utigur Huns under chief Anagai. Regions along lower Danube were in 6th and 7th centuries inhabited by Sclavinae, Antes, and Huns (probably Bulgarians). Moldavia and northeastern Muntenia were populated by Slavic tribe of Antes. Tardu Yabgu sends Bokhan to attack Cheronesus as a leader of Utigur Huns under chief Anagai. Kuturgur Hun Bolgars settle in Bessarabia and Wallachia, from which they will move to Moesia under pressure from Magyars, and make it Bolgaria. Hunnic Khan Zabergan (558?-582) dies, Gostun becomes Hunnic Khan ruling over Kutigurs. Hunnic Khan Gostun (582-584) dies, Orchona becomes regent of his nephew Kubrat (584-594). Hunnic Regent Orchona (584-594) dies, Kubrat accends to Khanship (594-642). Baptism of "Hunnish Khan" in Constantinopole. Avars reach Constantinopole. Avars controlled all Kuturgur Hun lands Uturgur (Onogur?) Bolgars did not participate in Khazars' war raids into Caucasus Uturgur (Onogur?) Bolgars guarded western border of Western Kaganate Uturgur (Onogur?) Bolgars are allied with Tele (Dulu). 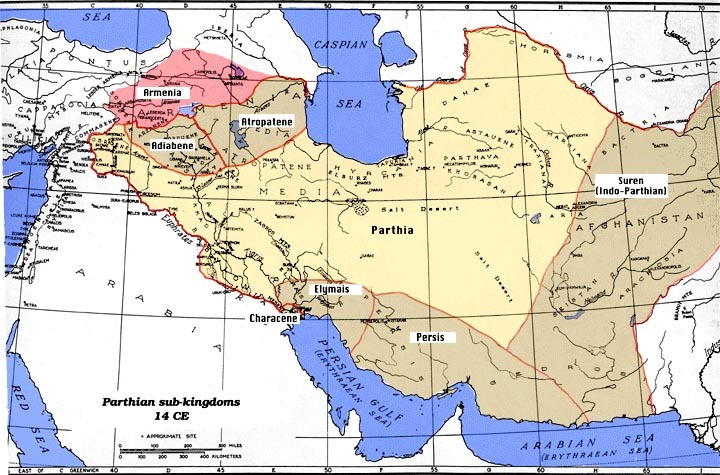 Tardu Tong Yabgu of Western Khaganate (619-630), per Chinese shronicle Tanshu, subjugated Toleses between rivers Orkhon and Tola and Aral Lake, to Iranians, and advanced to Khandagar in south. His army has hundreds of thousands good bow-shooters. Seyanto gave a blow from behind. Ashina Chuni, loyal to traditions of Eastern Kaganate, raised his army against Seyanto. He had 50K army without success. Tribes that did not receive autonomy were Karluks, Yagma (YanNyan), Kipchaks, Basmals, and Huns (Dulu) tribes Chue, Chumi and Shato. Albanian missionary bishop Israel describes "Kingdom of Huns" (Belendzher) capital Varachan located north of Derbent, and Tangri cult of Northern Dagestan Barandzhar (Balandzhar) = Onogur = Utigur Bolgars, subordinated to Khazars. Khazars are frequently allied with Huns of North Caucasus. Alp, Elteber of Huns of North Caucasus, is a vassal of Khazars. Huns capital city is Varachan (late 10 c). Some Khazar Kabars settle in Transilvania/Hungary with Magyars. Avaria (Pannonia) is divided between Slavic state of Great Moravia under Svyatopolk, and Turkic Khanate of Bolgaria. Bolgar Onogundur (or Onogur) settle there, possibly giving name to Hungary. Kengeres join in Hungarian invasion of Byzantium. Thrace. Kuthen, considered a dangerous alien, murdered; Cumans left Hungary but resettled there by Béla IV in 1245. Hungarian Christian clergy edicts that Catholics cannot marry "Khazars". Hungarian Jews, partly of Khazar origin, resettle in Poland and Austria. End of use in Hungary of Turkic 32 character alphabet with 4 suplemental letters a,f,h,l from Greek. 1 Hsiung-nu in Chinese is one of the Chinese derogatory monikers for Huns, with a meaning “ferocious slaves”. There were more respectful names for Huns in Chinese, like “western nomads”, etc. Chinese also had plenty of derogatory terms for themselves too, but, in the scientific literature, unlike the “Hsiung-nu”, these terms are not used to designate Chinese. 7) in a pit up to 10-15 m deep with a drams, a coffin, a timber frame and a several-logs-high chamber enclosed in a square stone setting of a big size, with the pit petitioned by four or five stone walls throughout its depth. In the three latter groups the coffin or the timber frame are often lined with vertical stone slabs and in some instances the pit is filled with similar slabs. 4 This is a nice pearl of the racial attitude found in a multitude of scientific works. Romans, Goths, and Persians are beautiful and merciful blessings, and Huns, Avars, and Tatars are ugly and cruel menace. That did not prevent multitudes on both sides from marrying each other and producing mixed populations, including attractive offsprings to become Caesars, Basileuses, Kings, Tsars, Khans and Sultans. The speculation on 'bulgha' is another example of a scientific pearl, not unlike the Chinese’ selection of the hieroglyphs to denote a negative attitude. But in this scientific thought we go a step further, proclaiming a negative meaning for a self-ethnonym. 5 One of a number of versions that can be found in the literature. 6 The results of the archeological studies in the territories seized by Muscovite and then Russian Tsardoms starting in the 1650-es, continuously settled at the time for 12 centuries by the descendants of the ancient Bolgars, is a better evidence than the pseudo-scientific “probably” guesstimates. An existing Bolgarian group, the Balkarians, who were relatively isolated from the rest of the Bolgars, and still carry the Bolgar ancestry in its name and appearance. 8 There are conflicting opinions on the attribution of the Syanbian language, and on the meaning of “Türk”. A. Mukhamadiev, analyzing legends of the Turanian coins, connects tur with the ancient Turkic word tura and toru - 'state', adding another potential concept for the etymology of the “Türk”: http://s155239215.onlinehome.us/turkic/33WritingTuranian/TurPismrEn1-9.htm. For comments or feedback contact: loony.